Real Madrid former coach Zinedine Zidane has insisted that he had set no specific plan for Liverpool star Mohamed Salah when the two teams faced each other in the 2018 Champions League final. Salah was forced off the field only 30 minutes into the European final showdown after a tough challenge from Sergio Ramos where he was pulled by the arm from the Spain captain to fall on his left shoulder and sustain a heavy strain. In spite of this, Zidane claims that he never told his player to target the 26-year-old hitman in order to ward him off Los Merengues’ goal during the final. “Not at all! 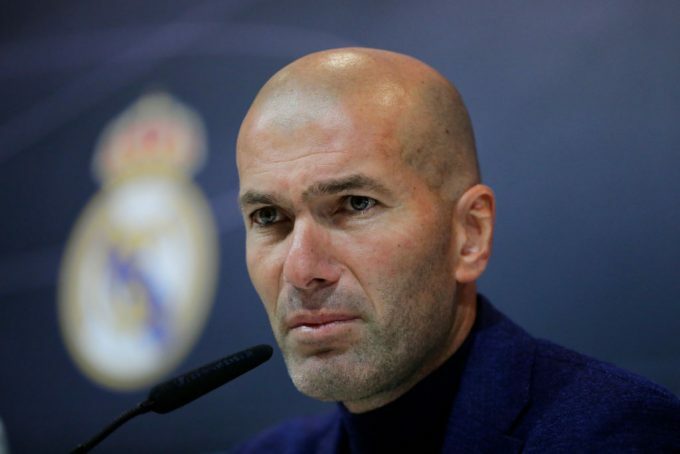 Our game was always the same, regardless of who we were facing,” Zidane told UEFA.com. “We told players about the individual characteristics of opposing players, so that they were aware of specific things that those players did. But I didn’t want to do too much of that, as I wanted my players to focus primarily on our own game,” he concluded. Real Madrid had beaten Liverpool 3-1 to seal their third consecutive Champions League title, in an achievement that was reached by a European club for the first time in history.